You will earn 1935.00 bonus points. ? 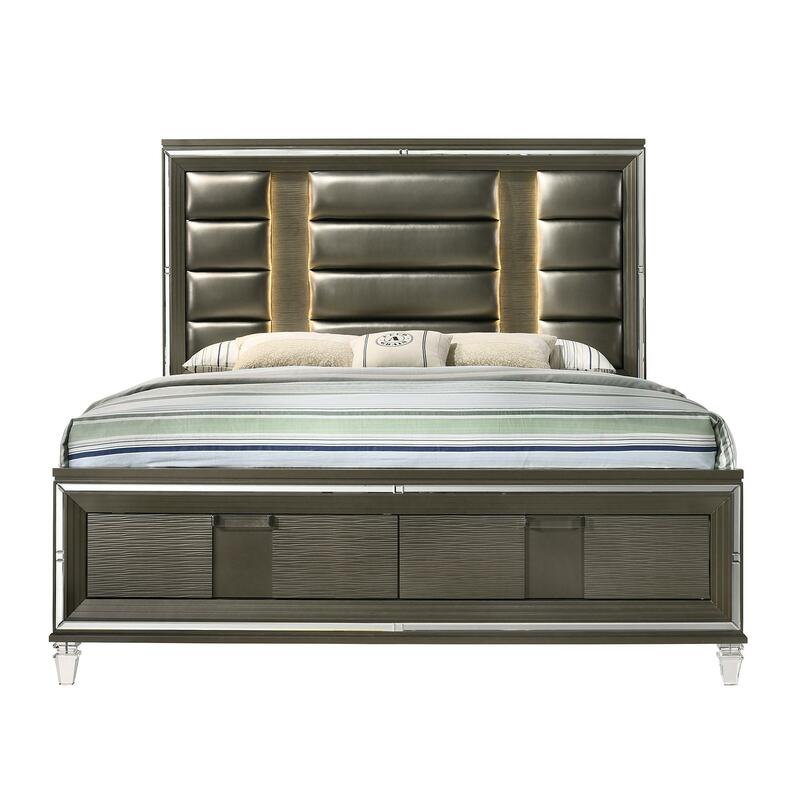 The Picket House Furnishings Charlotte 2-Drawer King Storage Bed is ultimate bedroom goals! This super chic bed not only looks good, but it's super practical. 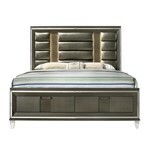 The footboard comes equipped with two spacious drawers, perfect for storing away extra linens. The headboard has an LED mood light, making it ideal when you need a little bit of extra light. The headboard features channel tufting, adding extra flair to this glamorous piece. Just like the case pieces, the mirror glass trim frames the bed giving this bed its chicness. Clear, acrylic drawer pulls and feet complete the look of the platform storage bed that will be a staple in your home for years to come. Inside Rail to Rail : 76.75"